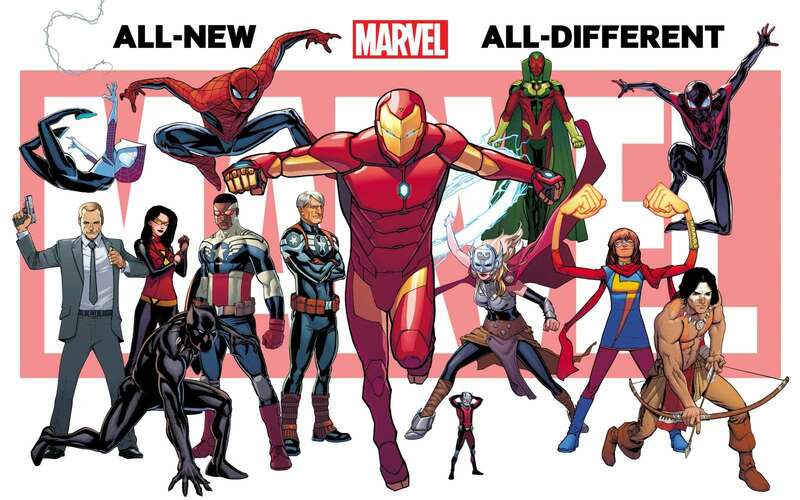 A little over a month ago, retailers from around the United States shared their thoughts on the All New, All Different line announcement at Marvel, and for the most part things were looking good. However, on an initial look, many comics look appealing, but when it gets to ordering time things aren’t quite as rosy. I had begun to see some talk about about how difficult the process of ordering these books was – most notably a series of tweets from Christopher Butcher from Toronto’s The Beguiling – thanks to an enormous amount of debuts and staggering requirements for incentive variants (including the highly touted and much maligned hip hop variants). But how did it impact other shops? To find out, I reached out to several retailers across the industry to see how Marvel’s October slate was being received by them, and to see what everyone thinks of incentive variants as a whole. Given that orders just closed on Thursday, this was very fresh in their mind, as you may be able to tell in their answers below. Between the laundry list of #1’s, the high ordering thresholds for a considerable list of variants, and the mere fact that this is – at least in terms of marketing – an entirely new line, it seems Marvel’s orders this month were as difficult as they’ve ever been for retailers. For you, what were the biggest difficulties in figuring out what to order and how much you should order of each? John Hendrick, Big Bang Comics, Dublin, Ireland: Well, we’re one of those stores that waits until the last possible moment to do Previews so we have as much information on hand as we can. But this month we spent about twice as long as normal doing the order, going over information, scratching our heads and generally guessing trends in October and taking into account the variants we could and couldn’t get. Some titles we upped for certain variants, generally for the Skottie Young ones, but others the distance was too far between what we knew we could sell and what was required to then be able to order some of those so on a few titles we just played it safe. There was just so much and the majority were at a higher price point too which drummed up the total spend. I get that a lot of books have higher page counts but I think it’s 45 or 46 issue 1’s in a 4 week period with a lot requiring you to order in excess of 125%, 150% or even 200% of previous orders books from different series. Sometimes it feels Marvel can be punishing you for your success. I know they’re not, but if we’ve ordered a tonne of an issue of Thor because we think we can sell it and the marketing push has been great, I don’t think we should have to order double that number for an issue of Squirrel Girl to then get the Skottie Young variant. Patrick Brower, Challengers Comics + Conversation, Chicago: What makes October so difficult to order from a retailer standpoint, is not only everything you just listed, but there are 100 new #1 issues for the month, across all companies. Sure, many of them are small press titles and may not get the same attention from retailers and readers alike, but it’s still my job to have the ones I think people will be interested in available to them. And then new books like Doctor Strange #1, a book I really want to get behind, I want to over-order to have it available for a few months. No matter what level the returning books were selling at, they will ALL sell better for the All-New All-Different #1 issues. And all of those issues are at least $1 more for the month. Secret Wars being late is actually helpful in this case, because now Marvel CAN’T give us 55+ new #1 issues in the same month. I don’t know if that was actually their plan, but it wouldn’t surprise me. To answer your question, the biggest difficulties are higher cover prices, lack of pre-orders and this order being due a week earlier than normal. We’ll make some serious adjustments in the Final Order Cut-off stage, but for now, this is way more of a guessing game than I’m comfortable with. Scott Tomlin, Comics Dungeon, Seattle: Ultimately this month it returned to old school ordering. The thresholds were very high and would have been irresponsible for us to order that high. #1s are always hard to order, but we look at a combination of creative team, character and gut feel. We would love to qualify for all the incentives, but at this time the interest does match what we need to do there. I think we have hit the levels on only 2 titles. Matthew Klokel, Fantom Comics, Washington DC: In a way the complications – large number of #1s; long roll-out period; entirely new start to Marvel titles – actually simplified our orders. Given how many variables are involved we fell back on our simple, generally reliable rule of thumb across the line: However many #1s were already reserved by subscribers, we ordered twice as many for the rack. We can fine-tune when the Final Order Cut-Off (FOC) comes around in a few weeks. Robert Harris, Space Cadets Collection, Oak Ridge, Texas: This month was, by far, the most difficult in terms of ordering for Marvel. As a retailer, you get a little worried when a big launch like this happens in an off-month like October. Are people going to be in the store as much as they were in the summer? Are people going to be burned out from Secret Wars and all the tie-ins? But hey, DC launched the New 52 in September, another off-month, back in 2011 and it set records for that company. Steve Anderson, Third Eye Comics, Annapolis, Maryland: Well, honestly, most of the real ordering will be done at FOC. It’s too early to get a gauge on things, but I think with any linewide launching of #1s — you have to think long-term, and take into account that the excitement around the bigger books will boost the smaller books. The only real difficulty now (and at FOC) will be the different formulas to qualify for variants like the Hip Hop covers, etc. I believe it changes from book to book, and that’s a bit of a headache. For books that are unreturnable but require things like “exceeding orders up to 200%” to get certain variants, how do weigh the potential return of said variant versus the downside of being potentially stuck with significant excess inventory? Additionally, when you do order big to get variants, what becomes of those extra copies? Do you typically just look at them as a sunk cost? Hendrick: It’s becoming a bit easier now we’re advertising the books directly to customers for pre-orders so we have a base figure to gauge numbers. But the truth is is that often stores like us eat those books, you either devote space on your shelves to them for a long, long time to hopefully get the return and every so often that’s okay. That’s pretty hard to do when you’ll have 46 issue 1’s in 2 months though or you immediately deep discount them often selling them below cost in an effort to get your money back from them, hopefully make money on the higher tier variants and with so many people picking up issue 1 your numbers for subsequent issues should be higher. But often they’re not. By the time issue 4 rolls around you’re selling what you would’ve sold anyway if you just ordered normally in the first place and if you’d have done that you wouldn’t have a long box of an issue 1 cluttering your store room. 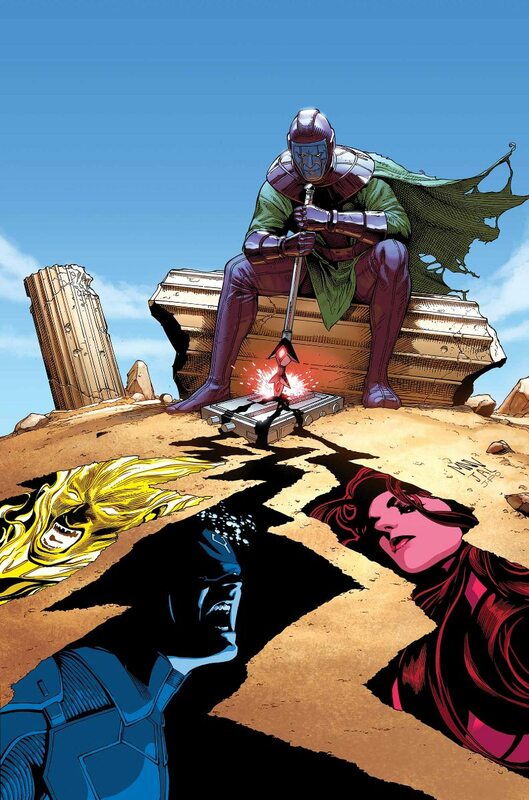 I think the last time this happened to us was Uncanny Avengers 1. We ordered something like 300 when all we really needed was 100, it took a while to get rid of those books but we got there in the end. Brower: Challengers is not and never will be a variant store. Are we leaving money on the table by NOT marking up variants? Absolutely. If we DO qualify for variant covers, and by that I mean if we happen to qualify naturally without adding any extra to hit the particular threshold, we put the variants out on the shelf for cover price. We don’t treat comics as collectibles; we treat them as reading material. Yes, we do sell bags and boards and other supplies—if people want to protect their purchases they are more than welcome to, but we hate the idea of saying “THIS cover is worth more than THAT cover.” We treat all comics as equal. They only times we have ordered heavy is when we did store exclusive covers, and even those were sold at the books’ cover prices. Tomlin: We do the math, if we can sell the variants in quantities and prices that would cover the cost of the additional inventory we will do so. Any of the extra copies we end up doing a few things, donate them, give them away on promotional days like FCBD, or put them in our quarter bins. Klokel: With a very few exceptions we ignore the variants that require exceeding a previous issue’s order number. Why? The combination of the time required to hunt those numbers down and the general lack of interest in variants at our store. For other stores it might be worth their time, but we’ve found that for us, it’s not. To answer the second part of that question, we almost never order bigger just to get variants. If, say, our formula has us ordering 92 or 93 copies but there’s a 100 copy variant, then yeah, we’ll make the stretch (when you get down to a 1-in-25 variant we’d only be willing to stretch our order by a single copy, and even then, only sometimes). Variants are nice to order if we already qualify, but they’re not worth chasing. Harris: When the threshold becomes unrealistic, such as the 200% tier, the variants become a non-issue for us. There haven’t been many “must-have” variants from Marvel lately that justify these unreasonable demands. Anderson: Honestly, I think with issue #1s — because these are starting points; the level of risk is not as great. Yes, the initial outlay of cash to qualify is a bit much, but if it seems like too much of a stretch, we just skip that variant. We also do a ton of legwork to build promotions that encourage folks to try the different issue #1s, which helps off-set some of that risk from qualifying for popular covers like the upcoming Hip Hop variants. As a person whose job is – above all – to sell comic books, how do you view incentive variants like the ones that require immense over orders from this month? In the grand scheme of things, do you look at them as a net positive for comics or something that is problematic? Hendrick: They’re both, I mean they are freaking great, sometimes I love seeing amazing variants and we do ok selling them, but, when we have to order 200% of a really high selling book to only then be allowed to start ordering Skottie Young Variants or Action Figure variants it can be a bit of a pisser. Especially as some of the people that buy a variant may not ever open and read the book to come back for issue 2. They can massively skew numbers in a store. But we have about 60 people who get “All Skottie Young Variants” so I have to take them into account when ordering them that way. Brower: They are ridiculous and hurt the industry. Normally, when a Marvel incentive is a % of another specific issue, we completely ignore them; we just won’t order them. For this recent slate of hip-hop variants, we actually had a number of people request them. Our rule has always been, ‘if we qualify for them, you can have it’ and if multiple people want a cover and we only get one, it goes to the first person that asked, and for cover price. With these hip-hop covers, we actually sat down and did the math. For the first batch of 17 covers, we wound up ordering 6 of them. Of those 6, 4 of them were not quite in our ordering range, but only off by a few copies, so we ordered the few extras to be able to make some subscribers happy. Tomlin: I think this is type of ordering schemes are dangerous for the industry. It affects the cash flow for retailers, if they make the call to hit the high order levels. I like the idea of serving the needs of the collector market, but this really only favors the top retailers and is not helping everyone equally. DC has a better pattern for variants and incentive levels required to get the privilege of order them. Retailers hold the keys here, smart ordering is the way to go. Variants are gravy, but sometimes you have to pass on the gravy. Klokel: Incentive variants – for our store at least – are nice to have if we already qualify or perhaps even if we’re *just* at the cusp. Otherwise they’re a distraction. In the grand scheme of things I’d place incentive-based variants as a slight negative for the comic book industry. Incentives encourage mediocre comic book sales by motivating the retailer (who is the true customer for the publishers, since they can’t return what they order) to order more of a title that might not be that good, not because they think they can sell the extra copies, but because they can sell the variant for inflated prices, making enough money to cover the loss they take on the regular title and still make a profit. The upshot of this is that valuable shelf space – that could be used to feature truly great comics – is taken up by what might very well be a fairly unimpressive book that’s only there because the store needed to buy it. Harris: The overall incentive variants this month are problematic. Sure, guys like Mile High and Midtown can afford to do this. But the average retailer? No chance! And the sad part is the blank covers. DC does this idea right…how many do you want? Marvel makes the blank covers part of their incentive program. The understandable part is Marvel having incentive-based variants for covers done by guys like Alex Ross, Skottie Young, Mike Mayhew, and many other superb talents. But blank covers? They are blank! Why make those incentive-based? Anderson: It goes back to the books — these are the #1 issues of Marvel’s new direction. In the past, we’ve done very well with Marvel’s linewide launches, and those issue #1s sell 12-18 months after they release. And, the ones that may be too plentiful or don’t perform to expectations? You have one heck of a promotional item to share with folks at movie releases, community outreach, etc. Much ado has been made about the enormous orders on Invincible Iron Man #1. How do you view that book? Was it something you ordered big on with the expectation that it will be a big seller? Hendrick: Yep we went big, why wouldn’t we, it’s a great team, a great character and it’s obviously going to be the banner book at Marvel, We also ordered issue 2 AT THE EXACT SAME TIME so I guess we’ll be ordering issue 5 by the time we even have a hint of real numbers. That’s frustrating, luckily we’re pretty much ninja like when it comes to our FOC’s so hopefully if it tanks – which it won’t – we’ll be on the ball. I think we’re in a pretty unique situation with this relaunch. We’re in a new store at a new location and because of that we’ve a lot of new customers coming in. We’ll turn all of this to our advantage, especially Iron Man. Brower: Invincible Iron Man #1 will easily out-sell Superior Iron Man by at least 3 times, but that’s not saying much. I actually liked Superior Iron Man, but it was NOT a big seller for us. I do not expect Invincible Iron Man to sell more than other recent Bendis books (Guardians of the Galaxy, Uncanny X-Men, All-New X-Men), but I believe it will sell comparable to those, so that’s how I’m ordering it. And personally, I HATE the ‘you won’t BELIEVE the shocking last page’ type of solicitation. Tomlin: Nope, we ordered higher than the previous series , but we simply don’t see the hype that Marvel is putting behind this. The order levels for us would have massively irresponsible for our store. Our clientele just is not excited about the series, Iron Man has never been a top seller for us, maybe we missed it this time, but I will be happy to reorder than risk overstocking to the extreme. Harris: We ordered more heavily than we would an ordinary Iron Man title, but not by much. Most Marvel readers are going to have this book on their pull list anyway. Anderson: To be honest, the past big boosts for Iron Man haven’t been big splashes. Our last real successful run with the character was Fraction’s Invincible run, BUT: this is Bendis and Marquez. It’s a very quality creative team, and if anyone can cause the book to catch fire, it’s them. I have faith in this being the flagship of the line. I hate to do this to you, but after the variants are gone and you’re back to the regularly schedule program on issue #2, what happens to your orders on the same books you ordered big on this month? Is there any chance you’ll order remotely near the same level? Hendrick: See my answer above about ordering issue 2 of Iron Man at the same time as 1, and 1 with a gaziollion variants? Straight answer is nope, we ordered 40% less on that book, if we need more Diamond will have them, if they don’t I’m sure Marvel will do subsequent printings. But it’s a lot easier to sell a number 1 on your shelf 3 months later than it is a number 2. Brower: Oh, no chance, especially since there will be the 2nd month of All-New All-Different Marvel #1’s to contend with. 33 this time, as opposed to 17 for October. I will absolutely be ordering less of all the #2 issues, across the board. Not everyone that bought a #1 will like it enough to continue. It will be around February, I expect, when our All-New All-Different numbers have settled to what they’ll (roughly) stay at, not counting natural sales attrition. Tomlin: Clearly we would reduce orders to meet demand, unfortunately #2s are harder than #1s. We know there will be less sell through, but we have to order before we even have seen the sales of #1. I would love to see publishers give incentives for return-ability on the first 3 issues of a series and share the risk with the retailers. Valiant is getting this right. We are happy to over order for them and take better discounts and/or returns. Harris: No, there will be a big drop off in the orders for #2. 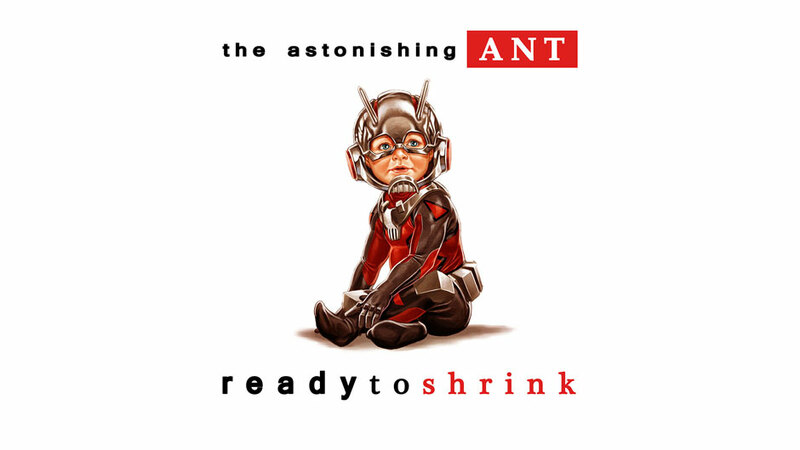 Marvel has some amazing talent on these new books…now time to deliver! Anderson: Well, again, it goes back to the #1 issue — we will maintain strong numbers on the initial #2-4s, as it’s not until 5-6 that sales begin to stabilize. I would not say that our numbers on #2 will be equal to those #1 numbers, but they will be strong, because you want to ensure folks who get in late can catch up and hop on board. Let me put it like this: when ALL NEW X-MEN caught fire in a big way around issue 4/5, THOR GOD OF THUNDER caught fire around issue 4/5, etc. — we were really glad we had those issues available to catch folks up. It’s a weird phenomenon, but sometimes books like these really don’t reach their full potential until that point.